The succinct, info-packed pages of those books reminded me of the Night Girl “dossier” that I’d failed to get into a Legion of Super-Heroes issue some six years earlier. The little light bulb went on—why not publish a book like those featuring Marvel characters? 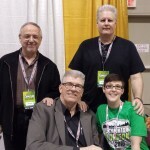 The next day at work, I sat down with Mark Gruenwald—as natural a choice for such a project as Larry Hama was for G.I. Joe—and told him my idea. Gruenwald had already been thinking about pitching an encyclopedia of everything in the Marvel Universe to me. I thought my idea was better. Simpler. Cleaner. More commercial. A definitive, glamor shot of each significant character, a panel excerpted from existing pages that showed them using their powers, and their stats—basic, dossier-type info plus how strong, how fast, etc. He was interested, make that thrilled, to do it my way (if he had to) but wouldn’t it be better to…? I just figured that an encyclopedia that included everything would become a ponderous tome with too much trivia and inconsequential stuff to wade through. I wrote up a new project memo for what I called The Marvel Super-Specifications Handbook and walked it through the vetting process—circulation, financial, legal…. Circulation and finance weren’t very enthusiastic about the idea, but at that point, because we were on a roll and the books were selling, the vetters usually just shrugged and went along with whatever I proposed. Usually. But Alice Donenfeld, our V.P. of Business Affairs and in-house counsel objected. Alice! Alice, who alone among the upstairs types knew the comics, read the comics and saw in a heartbeat the potential of the idea, said no. 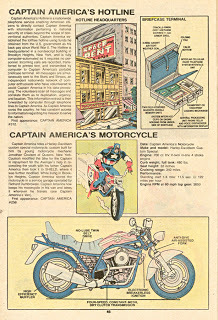 Seems that at some point, before I became Editor in Chief or possibly even before I started working at Marvel in 1976, the licensing department had licensed the rights to publish a “Marvel Encyclopedia” to one George Olshevsky. I argued that my Super-Specifications Handbook wasn’t quite the same thing. I also argued that it seemed unlikely to me that someone not on staff and on premises could possibly create a Marvel Encyclopedia that accurately represented the Marvel Universe. Alice stood her ground. And she was right. Sigh. I suggested that we ask Olshevsky if he’d be willing to cancel his license in return for something else. In that case, Alice said, it would be okay. It turned out that Olshevsky wasn’t wed to the encyclopedia idea. He hadn’t done anything with the rights, anyway. What he really liked to do was indexes. He’d previously done indexes of Marvel publications under license, some of which were published by Pacific Comics. We made him an offer to do “official” indexes to be published through Marvel on much better terms for him, and that did the trick. So, the Super-Specifications project was approved and Gruenwald started work. Nobody liked my “Super-Specifications” title, so we cast about for a new one. 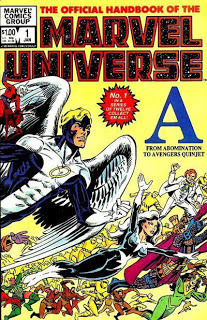 At the same time, Al Milgrom was working on developing a book that would feature one-shot stories by outstanding creators, working title Marvel Universe. 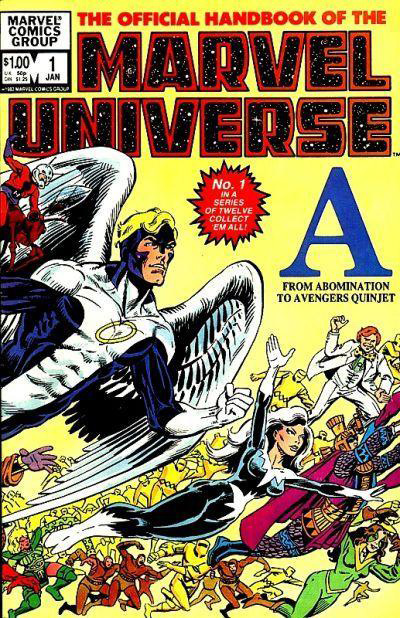 The Official Handbook of the Marvel Universe, the title proposed by Gruenwald, I think, seemed perfect for the series, so I pried the words “Marvel Universe” away from Milgrom. As I recall, he wasn’t all that bothered by having to come up with a new title for his book, which ended up being called Marvel Fanfare as in “Ta-daa,” fare for fans! Editori-Al is a sucker for puniness, so that worked. The first issue of The Official Handbook of the Marvel Universe was released in late 1982, cover dated January 1983. 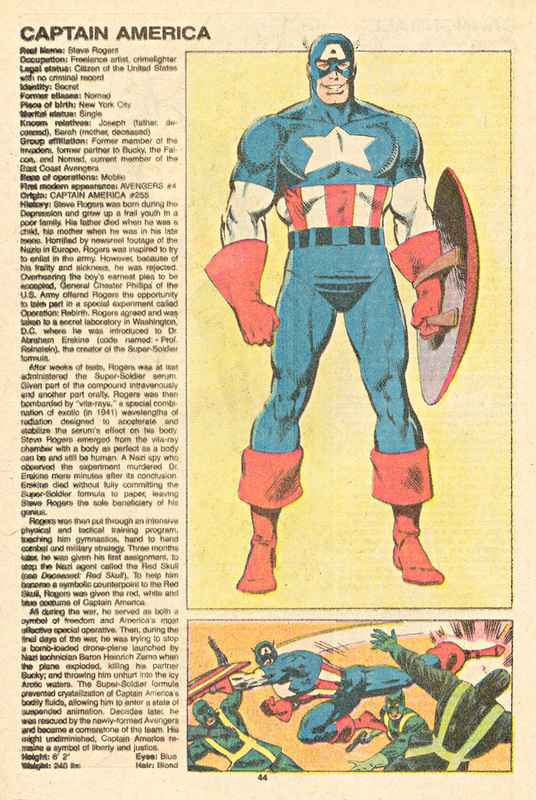 Gruenwald had drifted away from my specifications concept and more toward his original encyclopedia idea (and continued drifting that direction throughout the life of the Handbook series), but I was okay with that. The book looked good. And it sold gangbusters. Readers not working at 387 Park Avenue South loved it. Me too. DC came out with their answer, Who’s Who in the DC Universe two years later, though some there stubbornly claimed that DC had thought of it first. Right, and the Russians invented baseball. P.S. Neither company invented the idea, obviously. Somebody was probably doing such things even before Jane’s, and they started in 1898. I remember meeting with Gary Gygax and his execs in Stan's office at 575 Madison Avenue, which would have had to have been around 1980, give or take. That's a tale for later. By the time Marvel's role-playing game came out, Gygax was not much involved anymore, as I recall. As was typical of licensed deals, once I had helped our folks sell the deal, we in editorial were no longer of use, and not consulted about much. I'll tell tales of licensing in general and TSR in particular soon. It's in the queue. Thanks. Wow. Just wow. I think your confusing comic book characters with cartoon characters (of a non-superheroic nature). At least I hope you are. The strange science of MU was awesome. Made me think outside the box (as a non-scientifically minded young person then). I never once thought that Ant Man would need to shunt mass off to some location, or that Giant Man would be gaining mass from some source. The worst and most ridiculous times in comics was back when writers did whatever they wanted with powers from year to year. Superman was so hog wild in the variance of his powers that he seemed like a different guy after a couple of years. Setting caps on some of these things was the best thing that came out of MU. The lack of specifics in "who's Who" is actually what makes it better. They don't tie a writer's hands by saying "Thor can lift X pounds" or "Quicksilver can run X miles per hour." I thought the fake science explanations just called attention to how all of their powers are ridiculous. It's better not to try to explain how it works if your explanation is just fake science anyway! I always thought it was stupid to assign a figure to these things. They're friggin' comic boo characters. They can do whatever they need to do in the current story. That's awesome. Marc, thanks to you and George for bringing the extra insight. Well, my role was pretty brief. In 1976, I guess after seeing what I was doing with the Marvel Index project, Stan Lee phoned me in Toronto saying he and Simon & Schuster were talking about an illustrated encyclopedia of the Marvel Universe, and my name came up. I noted that one volume would likely not be sufficient, since by that time there were hundreds if not thousands of Marvel characters worthy of treatment in such a project. Stan had S&S advance me a thousand dollars to get started; I don't recall having a signed formal contract or license. I went to the fellow printing my Indexes with a design for a Marvel Character Data Sheet—a simple, typeset, three-hole punched, two-sided, 8.5"x11" template, printed in green ink, onto which I would manually enter a character's specs (name, secret identity, first appearance, interesting devices, short outline of history/origin, and so forth)—something we could in due time turn into a couple of pages of encyclopedia. I may have mentioned, to Stan, doing the Timely characters in the project along with the Marvel characters, since by that time I was very close to having all the Timely superhero comics as well as the Marvels. I guess I had a few reams of templates printed up; there might even be a ream or two still boxed up, quite unreachable, in my garage. It took maybe a week's work with these templates to demonstrate that the project was way beyond a single person's ability to compile in any reasonable timeframe (and I would have had to stop doing the Marvel Indexes). So Stan and I kinda walked away from it, and the next thing you know, there were Mark Gruenwald, Peter Sanderson, Jim Shooter, and many other staffers, with the Official Marvel Universe Handbook. It was pretty close to what Stan and I had imagined; I was very pleased that a natural project like that had actually come into existence. He also told me I could mention that he has a vintage Turok cover for sale on eBay. Alas, I can't afford it, but perhaps one or more of your readers can, and the online scan gives me something to look at while I wait for your latest Turok to arrive in the mail. Like a couple of other posters on here, when I was a kid I had my own super hero universe and used to make my own comics. I literally had like 50+ characters. I had several super teams like The Protectors, The Superiors, Omega Force, The Super Six, The Super Hero Society of America, and single characters called Cougar Man, The Red Cape, Power Star, The Tiger, and Captain Mighty. Some of my villains that I remember were Death-Cat, Dark Evil, Doctor Dynamite, Doctor Disruptor, The Black Death, etc., etc. So, when the OHOTMU came out, it really inspired me to create my own version. I had a lot of fun working on that back then. I don't have any of the pages anymore (thank god) because it would probably be very embarrassing to look at today. "I wonder how many of the people listed as DEAD in the original (or even the delux edition) Book of the Dead, have actually stayed dead the whole time? I'm guessing 10% at best." I'm just saying that for a complete reboot and reenvisioning of the universe post Crisis (and I loved Crisis and the promise it had) being done by very high paid talent, characters and plots such as Magpie's were weaksauce to the extreme. You like it, then more power to ya. But it's an example of why I stopped regularly buying new comics, at least DC's. I needed bigger things than Superman and Batman's 1st post Crisis team-up being about characters Byrne was phoning in. I loved Byrne growing up. I eagerly sought out his Marvel stuff. But the DC stuff had me scratching my head on wha' hoppen. Maybe I just was growing up and needed more quality in charactere and story. But hey, that's just me folks. There arre plenty of really good reasons to go around bashing Byrne, but this guy is really stretching here. I wonder how many of the people listed as DEAD in the original (or even the delux edition) Book of the Dead, have actually stayed dead the whole time? I'm guessing 10% at best. Fellas, fellas, it's a moot point anyway, because Magpie was killed off in 2006. Let's let dead birds lie. OK, so, she apparently came back as a zombie later but I'm not sure how long that lasted. You do have to acknowledge that her costume may actually be coming back into style, if Lady Gaga's fashion sense is any indication. "Magpie = pathetic Penguin rip-off (loves birds and stealing things? C'mon). Big glasses and a mohawk do not a great villain make…." As a big Marvel fan in the 80s, I personally thought the idea of Official Handbooks or Encyclopaedia for comics just a waste paper so I never bought any. Same goes for Marvel Saga. Just produce good comics and we don't need to worry about all the clutter. Joker = amazing, complicated character. True original that was a classic, scary concept and remains so. Magpie = pathetic Penguin rip-off (loves birds and stealing things? C'mon). Big glasses and a mohawk do not a great villain make, unless it's the GI Joe cartoon. I loved Crisis so much, but these post-crisis issues of Byrne Supermans were some of the last brand new comics I would ever buy. This series was like manna from the comic book Gods for me. I first learned about 95% of Marvel's characters thanks to the Handbook since I had only been reading comics for about a year. I went on to get the Deluxe version a couple of years later. Who's Who tried, but it just couldn't match this. A Joss, JayJay, and Jim Production? I love it. He's always talking about how busy he is (understandably) but I'd be surprised if Joss wasn't reading this blog, himself. He's never been shy about his love for 80s Marvel. And to think that it was all done off a DIY concept during a strike. You know, I bet Mr. Whedon is at NYCC, with the big Avengers launch and all. And he's worked with Dark Horse, as has Mr. Shooter. It might be interesting to talk to him. He's probably got some pretty interesting things to say about the future of comics. He's a fan, he's a professional. I'm a big fan of Joss Whedon's work and I'm borderline obsessed with Dr Horrible. This is my tribute page: http://www.deathsheaddesigns.com/drhorrible. And Dr. Horrible led me to Felicia Day's web series The Guild, which I adore as well. These success stories are very inspiring. DIY efforts succeeding like this have almost never been so within reach. I think about it all the time and it gives me hope. Around the time the series ended, Marvel collected two issues apiece into several trades, long out of print. More recently, all three series — original, deluxe, and update – were reprinted sans color in five "Essentials" books. Jim, JayJay? I have a very simple and stupid question that occurred to me. You've been in the real world. You've been busy. The most important part of that question is if you're familiar with the story behind the production, and the persons involved. If you're not, it's possibly useful. @Jacob – OHOTMU and Marvel Team-Up were, IMHO, invaluable in introducing me to the universe of Marvel characters. @Marc Miyake – I did a similar thing as a kid. In fact, this series inspired me to create my own characters and try to make them that much more unique. At the age of 10, who didn't want to imagine their original creations going toe to toe with Marvel's greatest? In retrospect, I was really lucky to get into comics when I did – both the Handbook and Marvel Saga were coming out, and Secret Wars had just finished (but I could still get the back issues for relatively cheap) and through the magic of synchronicity, at least once a month I'd be reading the new Iron Man or Avengers or X-Men, wonder "gosh, who is that character?" and they'd be in that month's OHOTMU. It was a fantastic resource and a great incentive to buy more comics – I picked up many, many books because the cover featured someone I'd read about in the Handbook. Love the history of a series I devoured as a kid. Although now I feel very foolish for never getting the "Marvel Fanfare" pun. D'oh! Always loved the Official handbook, As a kid it was the refrence that got me buying going through my brother's collection or buying back issues to see the first appearance of a character. I bought almost every issue including book of the Dead and the 89 update because It was like getting an instant backstory on hundreds of characters. When I was a teenager with big dreams of becoming a comic book writer back in the late 80's early 90's I'd study the OHTOTMU along with back issues in the hopes of knowing everything I needed to in order to get the characters "right" when I got the chance to write them. OHOTMU was like an access on point in some ways allowing readers to learn about a character before getting into the comics. Just a great way to get into Marvel. I always loved the art and the "action shots" of the Deluxe ediiton. From an educational standpoint OHOTMU taught young readers like myself how to do research with reference materials when it was time to write term papers or articles. DC's Who's Who won out in the art department; you really blew it by having Rubinstein, a fine inker to be sure, ink all of those great artist's pencil drawings – all of that wonderful variety of styles reduced to a bland kind of sameness. Jim…I just loved OHOTMU as a kid and I still do. I learned so much about my favorite characters and even about the ones I had never heard of. I would read it for hours just staring at the images. Matter of fact, I'm going to go and read a few of them right now. The only thing DC's Who's Who had on OHOTMU was the inclusion of the logo. I found DC's text to be second-rate, mostly because of the lack of specifics. 1. The power to be played by Nicholson, Hamill, and Ledger in a single generation. 2. To have a girlfriend everyone loves better than Magpie. OHOTMU was THE must-have book of its day! My only beef: No list of appearances, or even key appearances. I 'met' many characters for the first time in those pages, and I wanted very much to track down their appearances. I think there should be a series every 5 years. Right now, DC fans need one of these VERY MUCH. "…there's nothing in [Magpie's] DC bio that would suggest she had the power/ability to be worthy of two main heavy hitter foes." I found the Marvel Handbook bland in comparison to DC's Who's Who. DC's approach resulted in artwork, Marvel's approach resulted in style guides, making it seem pointless to bother getting such a wide variety of artists to seemingly trace a costume over a stock figure. I also enjoyed seeing the logos in DC's series, and seeing so many veteran artists returning to their signature characters. With all due respect to our gracious host, I would concur with your assessment. The DC handbooks were a visual delight, and it was always disappointing to see one's favorite artists stripped of their stylistic quirks by those static poses and plain backgrounds. I always wondered what was the point of getting Arthur Adams, John Byrne or Paul Smith to do a sketch if the publisher was going to remove everything that made their art interesting. Thanks for the response, Jim. It's interesting that it sounds like a pretty informal process. I somehow doubt it would be as easy today with 25 years of not particularly well-managed continuity layered on top of everything. Here are some pages from Marvel Saga. I think you could describe it as a super-compressed retelling of everything published by Marvel up to that point. I think it was organized in chronological order of the stories' events, not necessarily in order of publication. It still seems like a unique idea. I'm not sure if anything like it has been done since. Funny that Peter Sanderson's name just came up since he was the writer of this 25-issue, 900-page (!) series. It has been reprinted in the black-and-white Essentials trade paperback format. Interestingly enough, another 25 years have passed since this was published. Now ought to be the right time for Marvel Saga, Volume II. I wouldn't envy the person who took on that project. I certainly doubt the history would weave together quite as nicely and neatly. Understood, Jim. Thanks for the response! 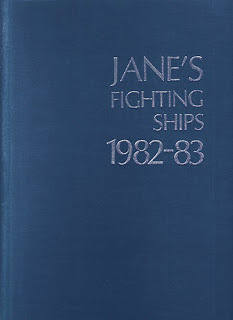 The idea first came, as I said, from the Jane's Fighting Ships book I saw at B&N. That feature in the Spider-Man Annual was one of the things I cited in support of the idea, as was the original "Secrets of Spider-Man" feature Stan and Steve did in the 60's. I may have talked about the idea with Roger Stern. I don't remember doing that, but Peter Sanderson is a very smart guy and a detail-tweezer of the first waters. If he said so, it probably was true. I would love to see a OHOTMU type guide for the Dark Horse Gold Keys books. I know it would never be published but I would love to see where you intended to take the characters. "Never mind the old pre-Crisis stuff, we're just going to show the new post-Crisis stuff." Oh God, forgot about the Crisis stuff. Now I remember reading the DC Handbook issue with that horrible villain John Byrne came up with for Superman in his reboot – "Magpie" I think she was called? Sort of punk rock bird looking? An only slightly shittier villain than the likes of Bloodsport ol' JB was dreaming up? Anyway, this bird had both Supes and Batman as her foes at one point, but there nothing in her DC bio that would suggest she had the power/ability to be worthy of two main heavy hitter foes. This type of John Byrne failure-moments are the type of thing that made my heart stop for a beat when I heard he was going to be doing Wonder Woman. And boy did he do a number on her. Had DC's come first, I'm sure it would have been hailed as a triumph. But coming in the wake of OHOTMU, DC's comparative lack of specifics paled badly. And at the time, I wasn't overly conscious of things like coloring in comics, but I vividly remember reading first few issues of DC's book and thinking how garish yet muddy their colors were, and how they obscured some really good art. Thankfully, OHOTMU had better editorial and production values. Before OHOTMU, education regarding the personalities and histories of the characters consisted of verbal explanations and showing new creators character-revealing/character-defining scenes from past books. Avengers #4, in particular, had a treasure trove of such scenes — single panels and brief sequences throughout that provided key insights about Cap, Iron Man, Thor and more. Generally, I would take new writers and editorial people out to lunch and clue them in as much as I could regarding what Marvel in general was all about, and about the natures of the characters in their care. I'll have to check out Marvel Saga and refresh my memory. "DC came out with their answer, Who’s Who in the DC Universe two years later…." [MikeAnon:] I scooped up Who's Who, just as I'd done with Marvel Universe. My only problem with Who's Who was that DC was publishing it in the middle of their first "Crisis" reboot, and around issue 20 or so they decided, "Never mind the old pre-Crisis stuff, we're just going to show the new post-Crisis stuff." So there was an article featuring John Byrne's revamped Superman and George Perez's revamped Wonder Woman, but the old Superman and Wonder Woman of Earth-1 never got articles. I pored over the collections as a kid and only realized years later that the artists were usually tightly associated with the figures they were illustrating. My favorite was that Curt Swan drew the Superman-analogue Gladiator. Cute homage. Entertaining read, as always, Jim! I'm looking at a Peter Sanderson-written article in "Marvel Age" #1 about the Official Handbook. It reads, "Marvel's editor-in-chief Jim Shooter came up with the idea for the Handbook. In looking for unusual projects for Marvel to publish, he remembered the tremendous mail response to the three-page section of the 1981 Amazing Spider-Man Annual that ranked Marvel's superheroes according to strength. Those three pages got twice as much mail as an issue of the X-Men! Shooter realized that there was a great deal of interest among readers in the specifics of the characters' powers, and so, in a conversation with Marvel writer Roger Stern, he evolved the idea for what he called the 'Super-Specs' book, which would simply give the exact specifications of everyone's powers and explain how they worked." Is the Marvel Age article inaccurate? Did the 1981 Amazing Spider-Man Annual feature have nothing to do with the creation of the Handbook? Dave, the Rocky bio appeared in the G.I. Joe: Order of Battle series. I brought the Rocky incident up on Jim's G.I. Joe blog entry and someone replied with this explanation. I don't know if that's really how it went down or not. It remains a curiosity that Hasbro nevertheless went ahead in 1987 and produced an action figure of the planned Cobra enemy counterpart for Rocky Balboa, code-named Big Boa, who came complete with boxing gloves and punching bag. I never had the Handbook series as a kid. I think I looked at it once and balked when I saw the amount of text inside. I still don't ever get very interested in studying the historical and biographical details of fictional characters as if they were real people. Besides, if you try to do that on Wikipedia for almost any comic book character these days, your head explodes at all the reality-bending retcons and twists and turns in continuity. Reading the Handbook now might feel like refreshing simplicity in comparison. For me though the point is to enjoy these characters' stories as they happen. Just reading a summary of it doesn't provide the same entertainment. 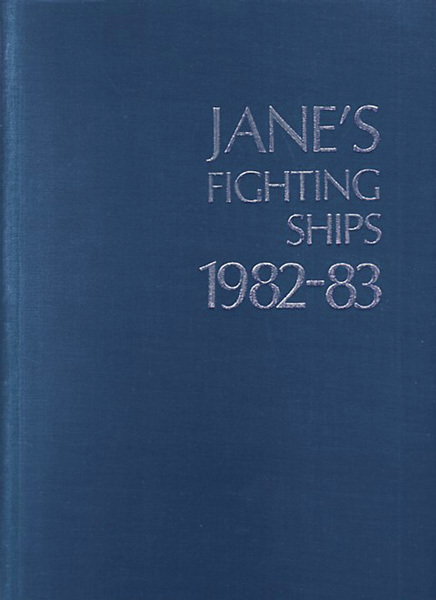 Jim, before the Handbook, were there any official character biographies maintained inside the company, perhaps to give to writers who started working on characters of which they did not have expert knowledge? This and another recent blog entry reminded me of Marvel Saga, which I collected at the time and forgot about for decades, but now remember enjoying quite I bit. I believe it summarized the history of the Marvel Universe in comic book form. I can't remember if it used all-new artwork, original panels or a mix. I loved the Official Handbook of the Marvel Universe. I had every issue when it came out and if I wasn't an idiot I would still have them. The problem with Wikipedia is that certain subjects will inherently get details wrong, if it's a 'middle-of-the-pact' subject. Something that's just well known enough to make it on the site (someone can't just put up a page about themselves if they're not famous) but not well-known enough that there are multiple experts weighing in and checking/impugning/correcting information. I've heard Colleen Doreen complain about Wikipedia before, too. It's simple enough to log on and actually change the information. People only edit out information if it's clearly tampering (like with Scientology). This is not a stab at you; I love your blog. But there really is a simple solution. Was this the book in which Rocky Balboa appeared? Or was that a GI Joe-specific handbook? Jim, if you were involved…any story you can share around Rocky being included, then removed? The Handbook saw print during my busiest comics-reading years, so I went through it voraciously. It was a delight to find out about the background of so many characters, although I shared the anguish of many of the fans who took these things too seriously: "That's not how Cyclops' power works!" "Hey! Why no regular entry for Yellow Claw???" "Iron Man is JAMES RHODES? Please! We know it's a one-year plot twist, tops"! The Handbook was a great product for the fans: inexpensive, rich in content, with all too rare new images of Warlock or Captain Marvel by Starlin or Shang-Chi by Gulacy, and even rarer things like a Marvel contribution by Mike Grell (I think he drew the Scarlet Scarab) or a Killer Shrike drawn by a certain Mr. Shooter. The heavy text also emphasized just how massive some characters' history was, making it feel even more unlikely that all of this stuff could happen to one person in anything less than several decades of adventuring. I loved these books so much. They got read a couple times on the bed or a bench, and then poured over and studied again and again via the bathroom magazine rack. My copies (some of the few of my old huge collection of comics I once had that are still in my garage) are pretty beat up. 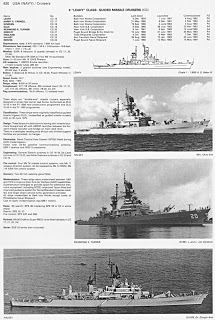 When I started running superhero based role playing games in the 80's (Champions) through the 90's, I got new uses out of the handbooks as not only references for levels of super-strength and such, but as examples to non-comics readers who were playing (believe it or not most of my players over the years were not comic book nuts like I was) as to what sort of choices they could make for a theme (techno guys, strong guys, bird guys, fast guys, etc). The DC versions sucked. They just didn't have the sheer pop of the Marvel Guides. They often had the affect of making me dislike some minor DC characters that I had previously thought was cool! 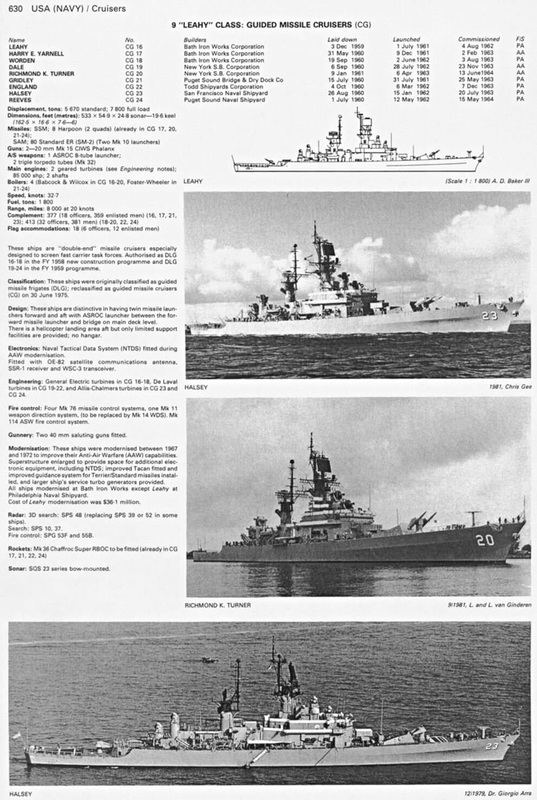 Kidding…but we did have something similar going, back in 1981. 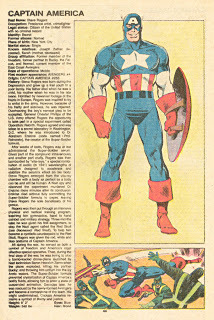 It started in July in Strange Special Origines 139: in every issue, there were 8 files cards, each on a different Marvel character called "fiches des super-héros". (look at the cover http://www.comicsvf.com/fs/8750.php) Quite succint compared to the Marvle Universe entries, but that was a start! OHOTMU 3 and 4 were the first Marvel comics I bought. Two of my friends in school had 1 and 2 and looking through them blew my young mind. I'm still a Marvel fan after 28 years! Like everyone else here, I loved these things and they widened my already considerable interest in Marvel mythos. Ron Frenz's covers were a joy to behold; worth it for those illustrations, alone! Reading about power rankings and such reminded me of a question I've had for many years – TSR (I think) put out a role-playing game Marvel Super Heroes in the 80s. My brother and friends and I played it quite a bit, and we often argued about their strength classifications, etc. We ended up nixing the game's rankings and made our own based on the OHotMU rankings. I believe it came out in 1984 or 1985, so it would have been on your watch; do you have any recollections about it? Was Marvel's involvement minimal or are there behind-the-scenes fun-and-games to be shared? Also, have a great time at the NY Con; hope it's a productive and fun experience. Gruenwald deserves all the credit. All I did was pave the road. Only a madman (in the finest sense of the word) like Gruenwald could have pulled off OHOTMU. I'm not familiar with Michael Fleisher's DC encyclopedias. 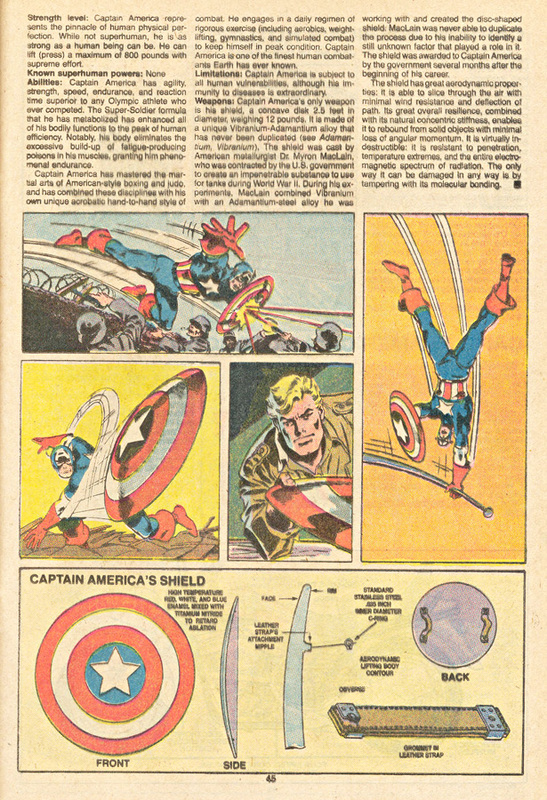 Gruenwald's idea seemed sort of World Book Encyclopedia-like to me — text, but lots of pictures. Please get in touch with Olshevsky, if you will. Any additions and/or corrections to my recollections would be welcome. I leave my copies of the Handbook on the spinner rack for my kids (aged 6 and 8) to flip through. I have to keep up on my own reading in case they ask me questions about some of the more obscure characters, like Razorback and their beloved Rocket Raccoon. Although I enjoyed reading Marvel Universe, it contained some inaccuracies and inconsistencies. Obviously, not everything can be consistent. For example, if Hercules could drag Manhattan Island (in that famously ridiculous story), then everyone who'd gone toe-to-toe with him could also lift trillions of tons. But, nevertheless, there were mistakes (probably nothing to do with you). Maybe with some things, though, they are best unresolved. For example, as a kid, when Wonderman kept saying, "My fists hit like Thor's hammer"' and Hank Pym said that each of Simon's cells was like a miniature fusion reactor, you wondered if Wonderman was actually stronger than Thor, without his hammer (if he could only overcome his lack of self-belief). When this was resolved in Thor's favour (with Simon unable to lift Thor's barbels, when showing off to Ms.Marvel, during the Korvac Saga), as a kid, I would have preferred it unresolved. In terms of errors in Marvel Universe, one edition even gave Power Man's weight as 495lbs, despite it being a tenet of Marvel lore, that was repeated over & over again, that Cage weighed 300lbs. About ten years ago, I compiled a list of slip- ups in Marvel Universe. Maybe I'll send it, in parts (it seems to be too long to send in one go – I got ERROR 503), if you're suffering from insomnia! (However, I still appreciate all the effort you put into it; and for the 1% that was wrong, 99% was probably right). Marc, I too wrote my own entries for characters I created. I would trace the outline of the main figure image, then fill in the costumed interior. I bet I still have those somewhere. Something else about the OHOTMU — the fact that it listed the origin and first appearances of characters and detailed their history and interactions with the rest of the Marvel Universe definitely drove my collecting impulses, and introduced me to the works of Kirby, Ditko, Heck, Steranko, Lee, Romita, etc. at a young age. Back then (1985-ish) you could pick up low grade copies of most of Marvel's 60s/70s output for less than $5, and did I ever! It's unfortunate that most people who buy those old issues keep them in plastic cases and never read them these days, the reprints just aren't the same without the tactile experience of the original editions. 40 years from now people will long for the nostalgic feel of swiping page to page on an iPad, right? I recently picked up a run of DC's Who's Who; reading it alongside Marvel's compendium, it just reinforced why I was always firmly in the Marvel camp. In regards to the two encyclopedic series, Marvel would ground their fantasy in science (with architectural renderings, orthographic projections, and exploded views of Daredevil's billy club), while it seemed like DC frequently threw up their hands and said, "It's comics, who cares? Shazam!" I loved these books! Unfortunately I'd missed a few issues so I never saw the complete collection. As I said in another thread "weapons, hardware, and paraphernalia", was one of my all time faves. Does anyone know if the trade collections of OHOTMU has that original material? I am fan of the OHMU. Although I never had the early versions. However I got the 13-14 HC volumes that were edited during these past 5 years or so. Even in an era of Wikipedia, I have not found information as complete as in those pages. I always thought the idea belonged to Mark Gruewald. It’s nice to know that this was also yours. OHOTMU, the Deluxe Edition, came out at just the right time for this young Marvel fan. I remember buying issue #3–$1.50, what a lot of money for a six-year-old!–and every issue thereafter, digesting all of those entries, day after day after day. Then the "Book of the Dead" extension came out, and I enjoyed that, too. This was before Marvel started bringing back just about every character who'd been killed off. A nice diversity of artists (with Joe Rubinstein there to ink everything and give a unity to the art), copious amounts of texty goodness…what's not to love? I loved those things like mad crazy. i mean to have all that information and stuff at your finger tips just made the Marvel Universe seem that much more real. Dc's who's who wasn't as good because they shied away from specifics like strength level and power level. Last summer my son discovered this series. I remember as a kid (about his age, come to think of it) getting so excited about each new issue. I was sure to find 10 or so characters I had never heard about. I loved spreading them all out to connect the covers in my house. Who had that idea? Anyways, decades later there's at least one kid out there every bit as excited as the rest of us were for this genius, madcap project. Thanks, Jim! Was Mark Gruenwald's original encyclopedia proposal along the lines of ex-Encyclopaedia Britannica employee Michael Fleisher's DC encyclopedias for Batman, Wonder Woman, and Superman: almost all text? I loved Fleisher's books, so I had to get The Official Handbook of the Marvel Universe, which helped me get up to speed on that world. I thought OHOTMU struck the right balance between words and pictures. As much as I liked DC's first Who's Who and its use of background art to give the viewer an idea of a character's career, I preferred the precision of text — and statistics! Inspired by OHOTMU, I wrote entries for my own characters in a similar style as a kid. I imagine there must have been hundreds or even thousands of unpublished, fan-written OHOTMU-type writings in the 80s. I should have guessed that George Olshevsky would play a part in the secret origin of OHOTMU. Would you mind if I dropped him a line about this post? I loved his indexes and was glad to see them go official with color illos absent from the originals. One of my favorite series in comics ever! Wonderfully produced, fun to read, and it helped when it came to writing the trading cards I worked on a few years later. Man, I wish I still had these. When this series came out I got every issue including the book of the dead but my complaint about it was that it killed debates once it included how strong the characters were. But it was nice to see the artists more associated with each character draw them.